It was meant to be a place of healing – a hospital where children and teenagers with mental disorders would be cared for and perhaps even cured. But something went wrong. Several young patients died under mysterious circumstances. Eventually, the hospital was shut down, the building abandoned and left to rot deep in the woods. As the new kid in town, Neil Cady wants to see Graylock for himself. Especially since rumor has it that the building is haunted. He’s got fresh batteries in his flashlight, a camera to document the adventure, and a new best friend watching his back. Neil might think he’s prepared for what he’ll find in the dark and decrepit asylum. But he’s certainly not prepared for what follows him home. . . . I was lucky enough to be gifted this book by my very dear friend Brittany for our All Hallow’s Read book swap and I know she struggled in finding me a novel with the proper amount of horror. I have a very high threshold, you see, and she wanted to make sure that I was properly scared! I am happy to say that this book was just right for me, it has just the right amount of thrill that kept me glued to its pages. The characters in The Ghost of Graylock were fun and relatable. Neil and Bree are the new kids in town, and their curiosity shows through their many adventures. What I liked about Wesley and his brother is that they weren’t those stock “weird” kids in town. In fact, Wesley’s older brother is kind of a “cool” kid who has some typical teenage male snarky behaviors, which I think made him more real! Parents were missing from this one, but Neil and Bree’s aunts are their and take care of them well enough, I would have liked to see more from them. One of the best things about The Ghost of Graylock was the way in which Dan Poblocki compliments the story with very vivid imagery. 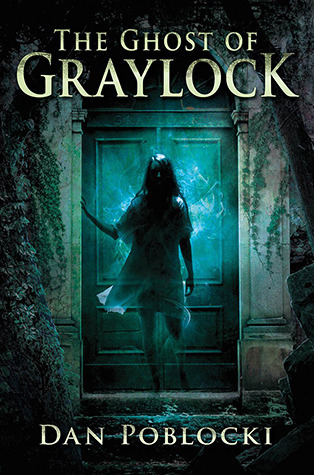 I found myself to be so engrossed while reading The Ghost of Graylock that though the book was not overly scary or horrific, I still jumped out of my skin a few times. The author provides the reader with such detail that I found myself hearing the drip of lake water falling from a ghostly girl. I felt terror as the characters ran and hid for their lives in the walls of the old asylum. The end of The Ghost of Graylock was incredibly twisty and though I suspected some aspects, I did not fully see it coming. I love it when that happens! I definitely had a look of surprise upon figuring out just who the real bad guy was and what terrible things crimes they had committed. One of my sincerest wishes is that Dan Poblocki forays into adult horror, because he completely has the ability to scare even the most fearless reader. I have a very high tolerance for the scares, and this one felt a little bit juvenile to be classified as a proper horror novel. However it was still wildly entertaining and just the right amount of creepy, and comes highly recommended if you are looking for something to have you looking over your shoulder from time to time. 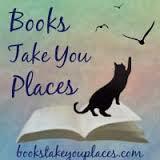 This entry was posted in Reviews and tagged death, fantasy, ghosts, horror, paranormal, young adult. Bookmark the permalink.